Providing environmental consulting and education services to our community. The City of Regina is hosting Leaf & Yard Depots this spring! Bring your grass clippings, leaves, plants, twigs and more to one of the depots on Saturdays from May 3 – June 7. They will make sure the waste is diverted from the landfill and turned into compost! See below for more information. 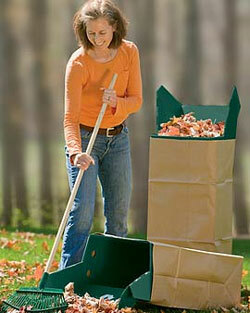 Yard waste must be in paper bags or reusable containers that can be emptied on site. To avoid delays and unnecessary plastic waste, please do not bring yard waste in plastic bags. 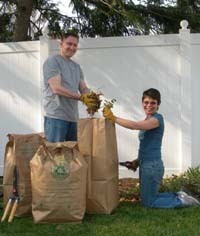 I have provided a list of retailers that sell paper yard waste bags at the end of this post. ** Please note that depots are open on Saturdays only. Please do not dump materials at depot locations when closed. Check out the link to the City of Regina website for more information.